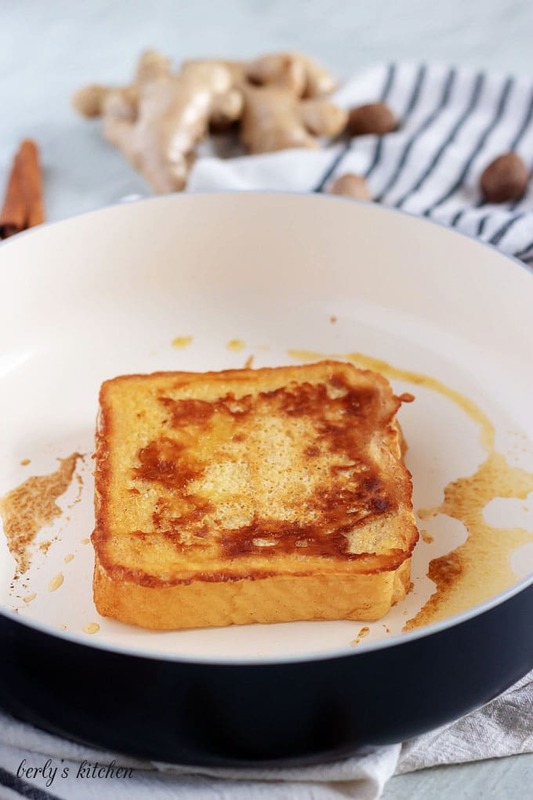 This Easy Cinnamon French Toast recipe is miles above the rest. 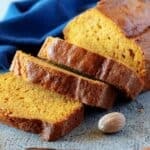 It’s loaded with spices like cinnamon, nutmeg, and ginger, then topped with a sweet maple syrup. In my experience, there are two categories of French toast. Sweet and savory. My grandma makes the savory kind with slices of white sandwich bread dipped in a basic scrambled egg and salt batter. 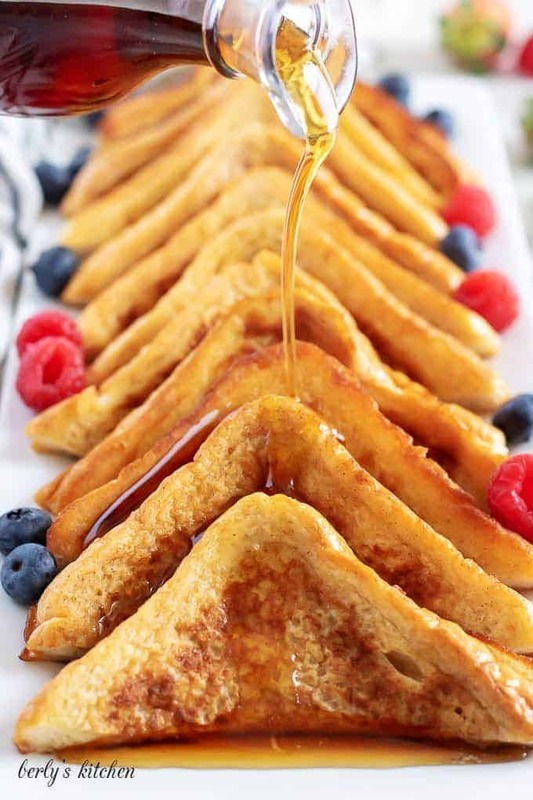 The soaked bread is grilled in butter then topped with more butter and syrup. It’s more of a fried, eggy bread of sorts. John grew up eating a sweet version of French toast. 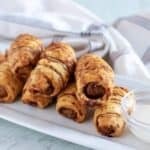 His dad used an egg batter filled with, cinnamon, sugar, and a pinch of nutmeg. Slices of bread were soaked in the sweet batter then cooked in butter. Next, the French toast was topped with syrup. John tweaked his Dad’s version a bit and has been making it for us for over 17 years. It’s hands down the best French toast recipe I’ve ever eaten. It goes great with some scrambled eggs and a berry smoothie. Start by choosing the bread. We like thick Texas toast for this recipe, but a bread, like brioche, would also work well. Next, make the egg batter. Grab a large bowl big enough to fit the pieces of bread. Combine the eggs, heavy cream, sugar, cinnamon, ginger, and nutmeg. Whisk the mixture to incorporate some air, and get the eggs frothy. This will give you a fluffy French toast. Melt a half tablespoon of butter in a large skillet over low-medium heat. Dip 1 piece of bread into the batter making sure that both sides are coated with the egg mixture. Place the soaked bread into the hot pan, and cook for 2-4 minutes on each side. Remove from the pan, and place on a serving dish. Repeat with remaining pieces of bread until all is used. Wipe out the pan as needed if the butter begins to brown. Serve the cinnamon French toast hot with extra butter and syrup. Our French toast batter is very versatile. We love cinnamon, so it’s one of the main ingredients. You may notice that we did make this French toast without vanilla, so you could easily swap out the cinnamon for vanilla. Another option is to leave the cinnamon out altogether. We opted for heavy cream in this recipe instead of milk. It has a higher fat content and when whipped has a fuller, fluffier consistency. 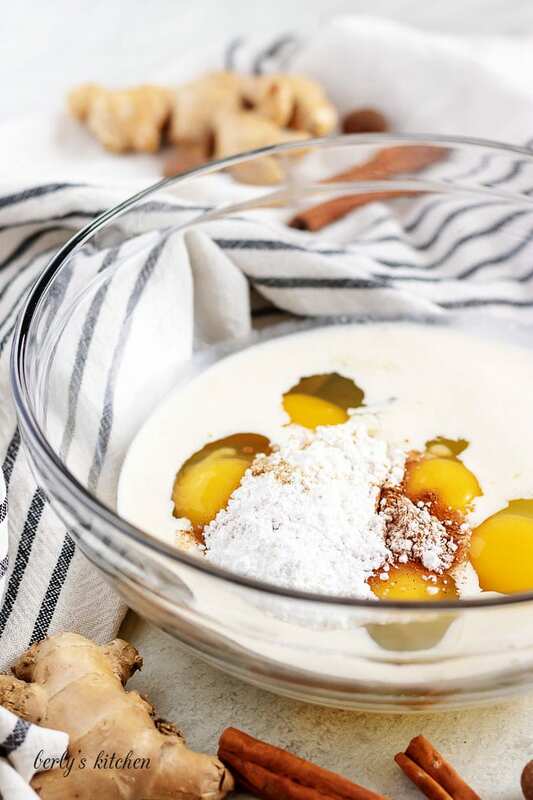 Milk or half and half may be substituted for heavy cream, but the consistency will be slightly different, and the egg batter will be thinner and less rich. If you’d like to leave dairy out completely, try using a nut or soy milk in place of the heavy cream. Again, the consistency will differ, but it’s a great dairy-free option. Nothing is worse than biting into a beautiful, golden brown piece of French toast only for it to have a soggy, under cooked center. This usually happens because the bread was soaked too long in the egg mixture. Avoid letting the bread sit in the batter for too long. It should only need to sit long enough to coat the outsides. Another thing that happens is that bread is too soft, meaning it is fresh from the package or freshly baked. Since there’s already a lot of moisture in the bread, adding extra moisture is going to lead to a soggy piece of toast. It’s best to let bread dry out for a day before using it for our cinnamon French toast recipe. “Day-old” bread works best! Looking for other breakfast recipes? You may like one of these! 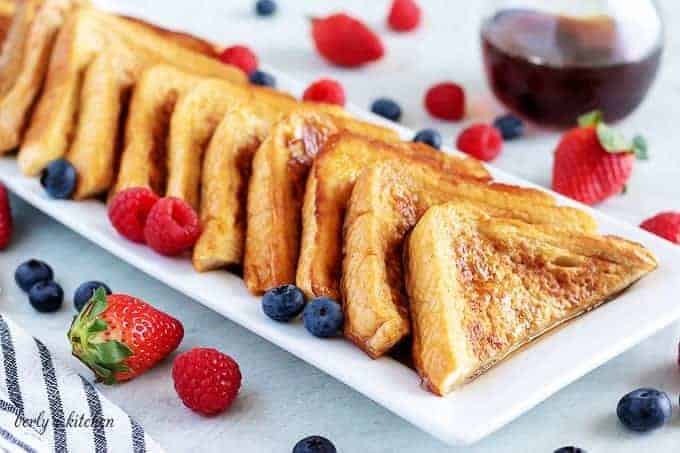 If you like this Cinnamon French Toast recipe, please leave us a comment and rate the recipe card. You can also find us on Facebook, Pinterest, Twitter and Instagram searching for Berly’s Kitchen! This Easy Cinnamon French Toast recipe is miles above the rest. It's loaded with cinnamon, nutmeg, and ginger, and topped with maple syrup. In a medium bowl, combine the eggs, heavy cream, sugar, cinnamon, ginger and nutmeg. Whisk until the eggs are frothy. Melt 1/2 a tablespoon of butter in a large skillet over low-medium heat. Dip 1 piece of bread into the egg mixture. Make sure both sides are evenly coated. Place the soaked bread into the hot skillet, and cook for 2-4 minutes on each side. When the toast is brown on each side, remove from the skillet and wipe out any browned butter with a paper towel. Repeat the process until all the bread and batter are used. 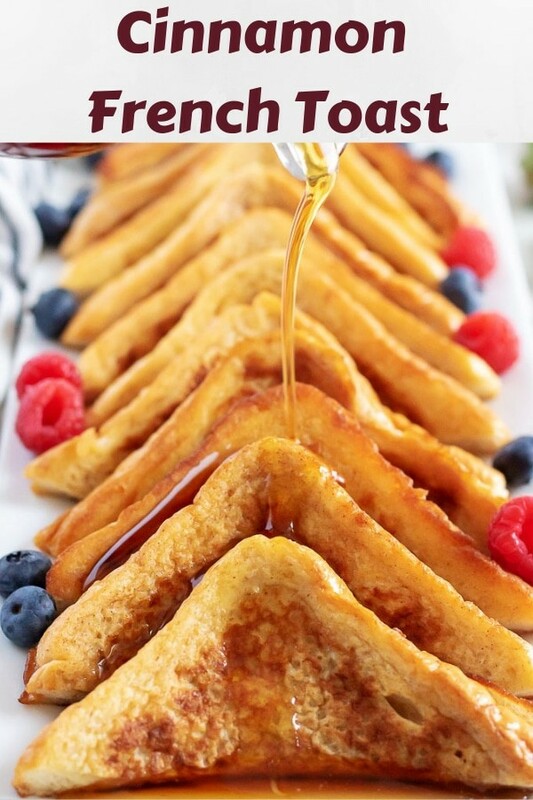 Serve hot with your favorite toppings like maple syrup, powdered sugar, or fresh fruit. *Calories listed are to be used as a guideline only. 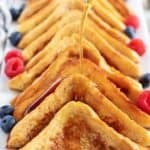 They are based on a third party application using the ingredients listed and the serving size of 1.5 slices of French toast. *Please see the post for additional information regarding possible substitutions and/or best practices.